Restoring healthy smiles for patients near Princeton and LaSalle, Illinois with dental crowns. When a tooth has a problem, it sometimes requires a crown to cover it. 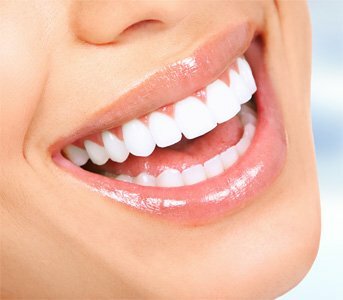 The crown fits over the tooth and provides a more normal look by maintaining proper shape, size and strength. A properly fitted crown looks natural, fixes smiles and helps with chewing problems. Dr. Ed wants you to have the best smile possible, so we replace crowns and fillings with restorations that look and feel like your natural teeth. If you have unexplained pain from filled back teeth due to hairline cracks in the part of the tooth used for chewing, then placing crowns on them relieves pain and provides a complete return of all dental function. How long have you had fillings in your mouth…a while? Older fillings weaken teeth and can make people self-conscious because of staining and chipping. Crowns are perfect for this as well as in teeth with root canal fillings to prevent breakage. Your smile will return better than ever. CEREC is our custom crown milling unit for same day restorations. Dr. Ed Monroe takes a digital scan of your teeth with his state of the art 3D imaging camera, which eliminates the need of messy and uncomfortable impressions. We’ll design and create your crown here in the office all in one day. You’ll never need a temporary crown or a second visit. If you walk into our office with old and failing dentistry that’s causing you pain and discomfort, you’ll walk out with the biggest smile you’ve ever had. Your teeth will be like new. We offer dental crowns in both our LaSalle and Princeton, Illinois offices.